The following patterns used to be available on Craftsy. If you are interested in purchasing either one, just contact me. The patterns are in PDF format so you can download and print them at your convenience! I will be featured in Make Modern Magazine, Issue 26 in January 2019. I’m part of a Bee Hive Gallery article, and you can see a picture of my Cherry Blossom quilt and read about it! Click on the Make Modern image to order a copy! I’m published in Quiltermaker’s 100 Blocks, Volume 11 (spring 2015). My block is #1001 and is called Snow Cat. 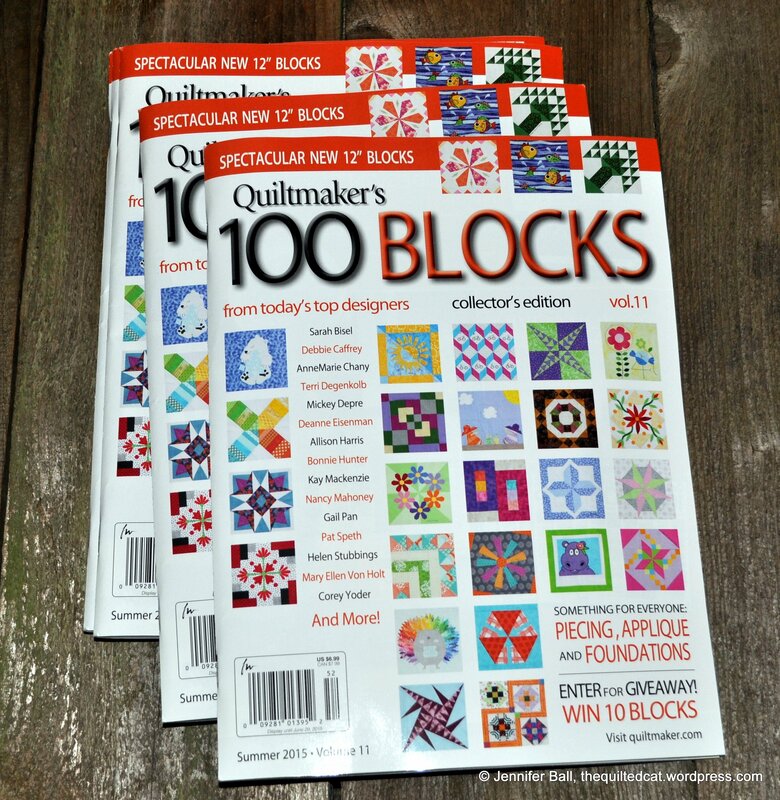 I’m published in Quiltermaker’s 100 Blocks, Volume 10 (November 2014)! I’d love to order a quilted cat stuffed animal — in cat form! Please advise how to order! Hi Julie! I don’t have a quilted cat pattern, but that is a great idea! I’m looking to make a dahshund pillow or picture frame. Do you have the pattern for the dog block.